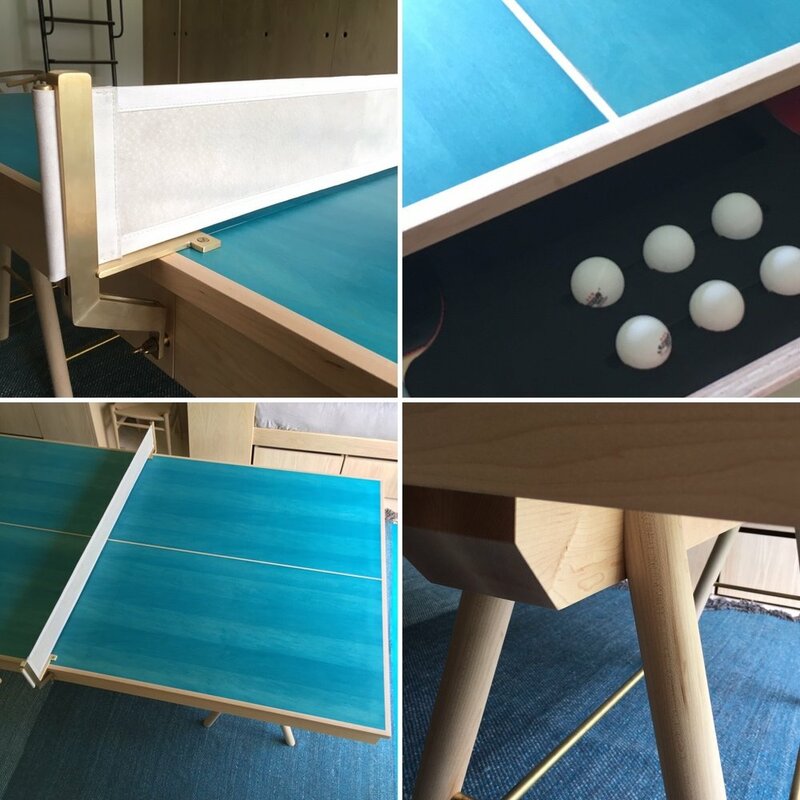 A dream commission landed in my lap... a custom table-tennis table. I want one. My wife tells me I can have one when we’ve done renovating the house. 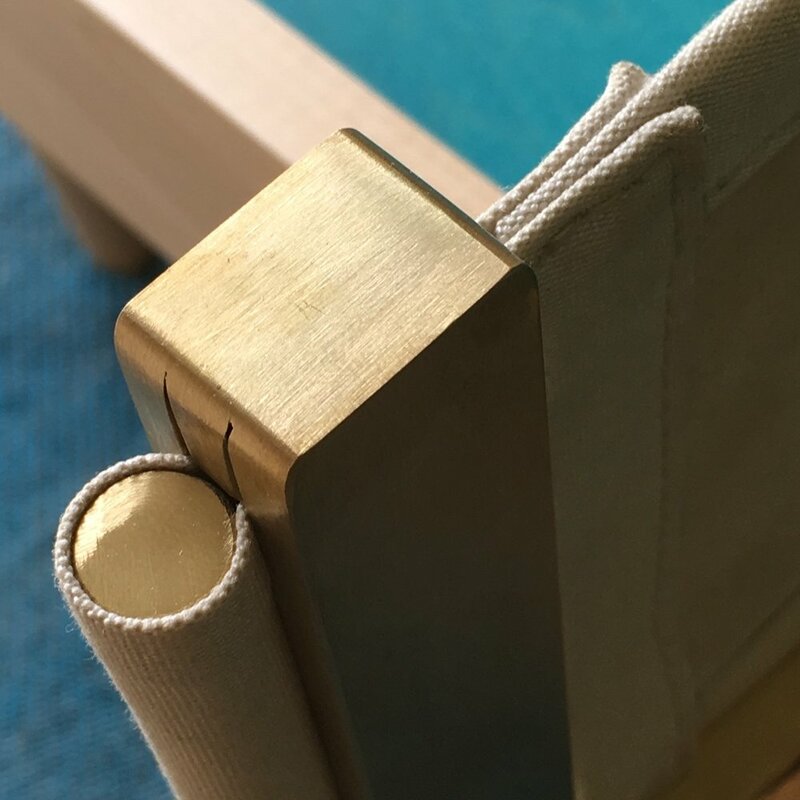 With no expense spared, the table features maple, brass and pigskin details. The surface is made from a maple veneer stained in a custom bluish teal to match the rug, with solid maple inlay for the court-markings. Concealed at each end are drawers fitted with machined high-density foam to snugly house the balls, bats and net. The brass upstand on the net is custom-made by Powersurge, and is finished with a pigskin hide and canvas net. The legs are solid turned maple that are braced with solid brass bars. For the finish we used a water-based poly coating with low odour and low VOC.